CompTIA certification helps identify qualified, knowledgeable individuals in entry-level fields of Information Technology (IT). The Academy schedule includes in-person and online classes that will help individuals prepare for many of CompTIA’s certifications, including A+/Network+, Security+, CASP, Server+, Linux+, etc. and with each class, you’ll receive a CompTIA voucher for your certification exam. CompTIA exams are vendor-neutral. Earning a CompTIA certification not only proves you have the right skills, but also the dedication and commitment to your IT career to continue learning. Attend hands-on, instructor-led training classes at The Academy, or live Online instructor-led classes. Not near one of our locations? Attend these same live classes from your home/office PC via our Remote Classroom Instruction technology. Free Exam Voucher. A savings of up to $400 in exam voucher costs alone. Free Exam Prep Software. Included with CompTIA courses. The CompTIA A+ certification is a great starting point for a career in IT. This credential is for entry-level IT technicians involved with preventative maintenance, basic networking, installation, troubleshooting, communication and professionalism. To achieve this certification you must pass the designated exams. You can prepare for the exams by attending the course listed below. A+ certification is recommended before moving on to Network+ and Security+ certification. This credential is for networking professionals involved with managing, maintaining, troubleshooting, operating and configuring basic network infrastructure. The exam covers network technologies, installation and configuration, media and topologies, management, and security. Candidate job roles include network administrator, network technician, network installer, help desk technician and IT cable installer. To achieve Network+ certification you must pass the designated exam. You can prepare for the authorized exam by attending the course listed below. Linux+ Powered by LPI (Linux Professional Institute) certification offers a framework for acquiring working knowledge of Linux for IT professionals working as junior-level system administrators, as well as those working in Web and software development. Linux is an essential skill for working in a variety of job roles in Web, systems and network administration. Linux is used to power most of the world’s supercomputers and a vast majority of Web servers, not to mention tens of millions of Android devices. It also forms the foundation of the popular LAMP development stack, making familiarity with it an essential skill for thousands of Web developers. To achieve this certification you must pass the designated exams. You can prepare for the exam by attending the course listed below. This credential is for experienced security professionals involved with system security, network infrastructure, cryptography, assessments and audits. The Security+ exam covers the most important foundational principles for securing a network and managing risk. Access control, identity management and cryptography are important topics on the exam, as well as selection of appropriate mitigation and deterrent techniques to address network attacks and vulnerabilities. Security concerns associated with cloud computing, BYOD and SCADA are also addressed. To achieve Security+ certification you must pass the designated exam. You can prepare for the exam by attending the course listed below. CompTIA Advanced Security Practitioner (CASP) certification is vendor-neutral and proves competency in enterprise security; risk management; incident response; research and analysis; and integration of computing, communications, business disciplines and enterprise-level cybersecurity threats. To achieve CASP certification you must pass the designated CompTIA authorized exam. The exam covers the technical knowledge and skills required to conceptualize, design, and engineer secure solutions across complex enterprise environments. It involves applying critical thinking and judgment across a broad spectrum of security disciplines to propose and implement solutions that map to enterprise drivers. You can prepare for the exam by attending the course listed below. The CompTIA Server+ certification exam covers system hardware, software, storage, best practices in an IT environment, disaster recovery and troubleshooting. This intermediate level credential proves that workers know how to implement server-based hardware and software in a data center environment. To achieve this certification you must pass the designated exam. You can prepare for the exam by attending the course listed below. Penetration testing is becoming a valuable asset in Cyber Security as organizations continue their efforts to prevent privacy and security breaches before they occur. This course will give students an introduction to the general and methodologies in relation to Pen Testing. 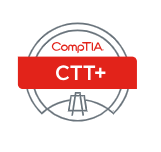 CompTIA Certified Technical Trainer (CTT+) certification is for instructors who want to verify they have attained a standard of excellence in the training field. CTT+ validates the knowledge and use of tools and techniques necessary for successfully teaching in today’s learning environments. To achieve this certification you must pass the designated exam. You can prepare for the exams by attending the course listed below. The CompTIA Certified Document Imaging Architect+ (CDIA+) certification allows IT professionals to validate their knowledge in document imaging and document management. The certification ensures IT professionals utilize best practices for planning, designing, implementing and maintaining a document imaging infrastructure. 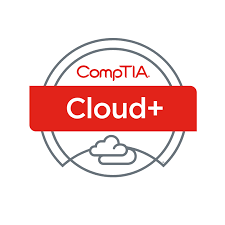 CompTIA Cloud + is a vendor-neutral, performance-based certification that covers multiple vendors or an individual function like security or networking. IT professionals that are interested in learning how to manage, incorporate, and maintain cloud infrastructure would find this course to be a great addition to their current certifications. Project+ is an up and coming credential granted by CompTIA to those professionals who have achieved a level of experience in the area of project management. Its roots are in the IT world but it is applicable to any project manager who wishes to validate their knowledge through an industry accepted certification. It is a certification that easily sets the stage for project management excellence and even prepares people to move up the ladder toward other certifications like Project Management Professional (PMP) offered by PMI. The Academy Project + Boot Camp has been developed to make you a better IT project manager and to bring success to your projects. The target student is an IT professional who wants to gain the skills and knowledge required to successfully manage and deploy an IT project. This course will also prepare students for the CompTIA Project+ certification exam. Passing the exam is equivalent to possessing the knowledge and problem-solving skills of an individual with practical IT and project management experience of 2,000 hours. Create the project budget and schedule. CompTIA CSA+ is ISO/ANSI 17024 accredited and is awaiting approval by the U.S. Department of Defense (DoD) for directive 8140/8570.01-M requirements. A career in information security analysis ranked seventh on U.S. News and World Report’s list of the 100 best technology jobs for 2017. According to the Bureau of Labor Statistics, the median pay for an information security analyst is $90,120 per year.